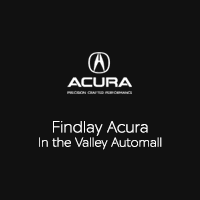 At Findlay Acura in Henderson, our Acura finance department makes it easy for our clients to apply for a loan and secure the funds they need to take home a new or pre-owned vehicle near North Las Vegas. Use our monthly payment calculator to figure out your budget before your settle on a loan, including flexible loan terms that give you the option of lower monthly payments or paying off the loan faster. And remember to value your trade with us in order to see how much you’ll be able to get for your current model! The staff at Findlay Acura is here to help you get the funds you need to take out a new or pre-owned car loan near Las Vegas. Take a look at our impressive selection of new Acura models, including a variety of Acura ILX, TLX, MDX, and RDX models, as well as a number of used and certified pre-owned vehicles. The staff at Findlay Acura is here to serve all your automotive needs Monday through Saturday, and you can contact us directly at (702) 982-4100 with any questions! We’ll set you up with a test-drive, so you can experience the Acura TLX Interior or Acura MDX horsepower for yourself!